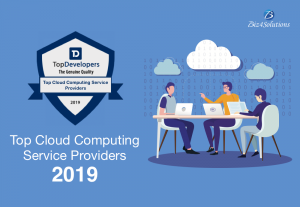 ‘TopDevelopers.co’ has listed Biz4Solutions LLC amongst the top 10 Cloud Application Development Companies for 2019. Their sole aim is to provide quality work. FRISCO, TEXAS, USA, March 14, 2019 /EINPresswire.com/ -- It gives immense pleasure to know that ‘TopDevelopers.co’ has listed Biz4Solutions LLC amongst the top 10 Cloud Application Development Companies for 20191. Biz4Solutions, established in 2011, has delivered tremendous results in IoT development, Mobile/Web application development and has successfully carried out its projects in the domains of Healthcare, Water, Education, Hospitality, Insurance (Auto), Mortgage, Banking, E-commerce ,Travel, Telecom, Retail in the US, specifically in the Texas Region. With 7 years of experience in the software market, Biz4Solutions is doing wonders in web and mobile application development for individuals and also start-up companies by providing them full-fledged Customized Software Solutions, Cloud Solutions, AI and Machine Learning, Digital Marketing, Native and Hybrid Mobile Application Development. Cloud technology is the new face of business which is not just restricted to personal mailing and data storage but is widely used in development, testing and designing of software. It is extensively used to optimize the available data in an efficient manner. It has become a trend these days as it can minimize the cost of operating a business. Biz4Solutions LLC is a US based company serving clients worldwide. They work in collaboration with senior technical Architects, Managers, Quality Analysts and Developers working all the way in India to provide high-quality professional service. Their sole aim is to remove apprehension that loT of customers have when they first start working with software teams working. This is just the beginning of the journey, Biz4solutions promises to achieve more and conquer new heights in the coming years. Click below to view the complete list of top 10 Cloud Application Development Companies.